Its raining sports cars in India, literally, in past few weeks we have seen Indian Grand Prix action in India, followed by Caterham Seven launch, then the Ferrari FF and then Lamborghini Aventador launch in India. 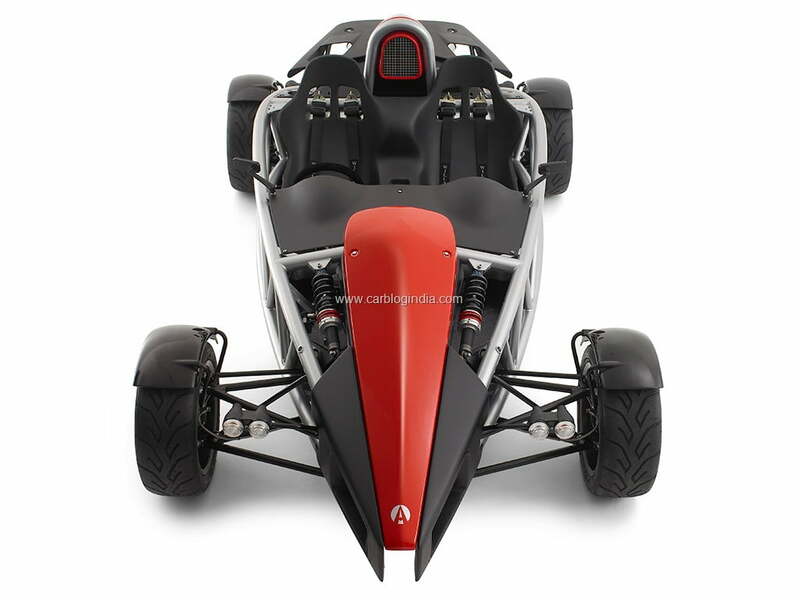 Along side these launches, Ariel, one of the popular motor companies in UK has launched its sports car Ariel Atom in India officially at a starting price of Rs. 55 Lakhs. These cars will be marketed by InterGlobe Enterprises in India, it will function as official distributor of Ariel Sports cars in India. 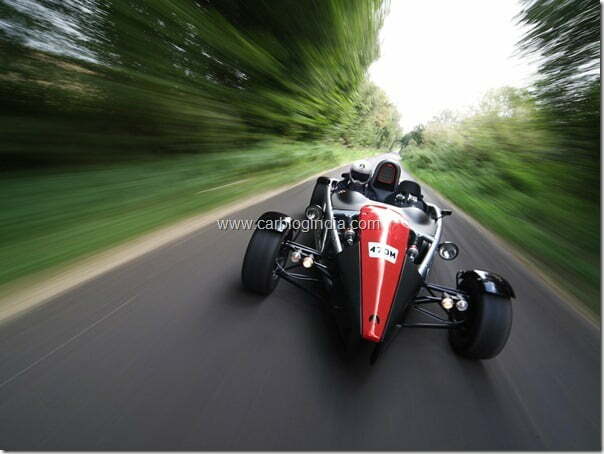 Ariel Atom are bare bone sports cars for pure thrill and performance. These cars have no roofs, doors, windscreen, carpet, stereo etc. 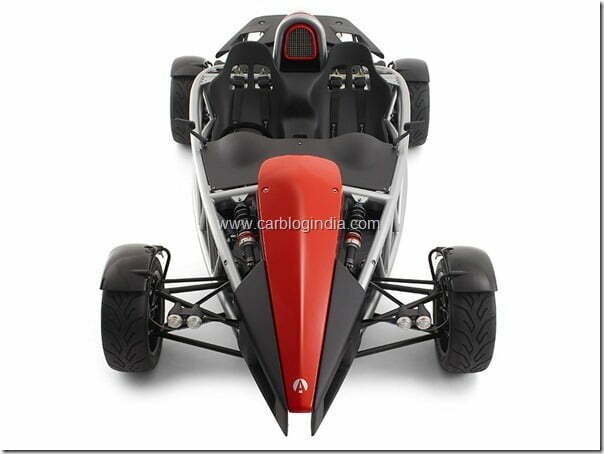 Ariel Atom is made up of Welded steel tube chassis with modern technologies like MIG or TIG. The chassis is then coated with corrosion resistant material. Ariel Suspensions is typical racing car suspensions with wishbone components, something like you see on Formula cars. 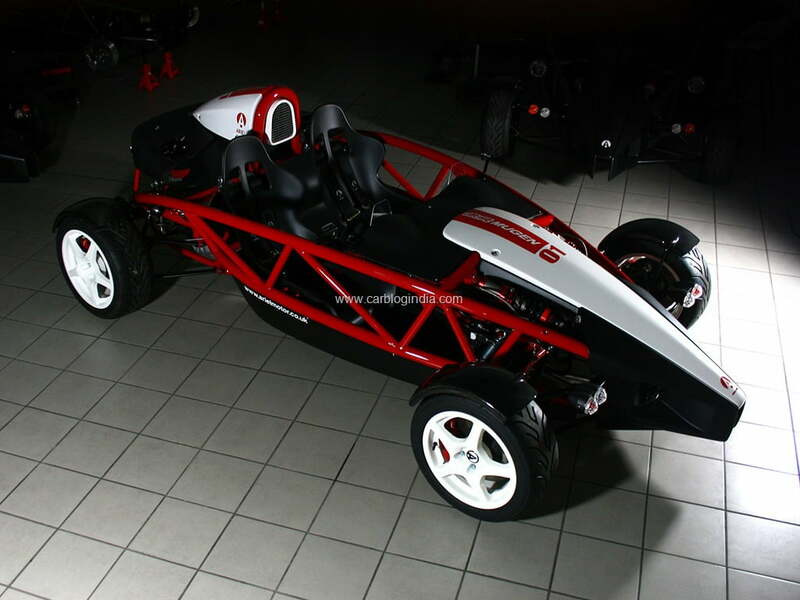 Ariel Atom measures 3410 mm in length, just 1195 mm in height, 1828 mm in width and has a wheelbase of 2345mm. 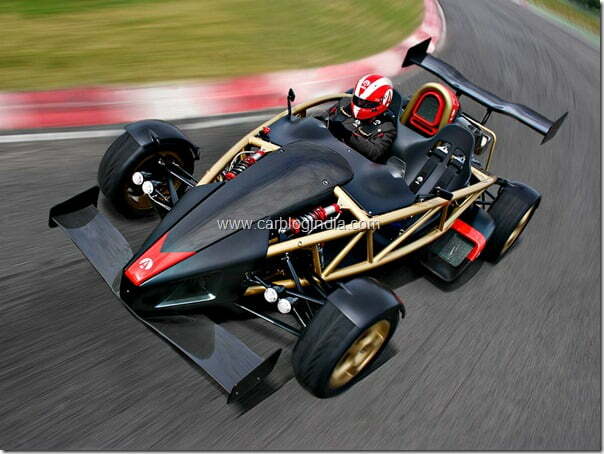 Ariel Aton is powered by a 2 Litre 4 cylinder Honda i-VETC Engine made up with aluminum block. It delivers mas power of 245 BHP @ 8200 RPM and 210 Nm of torque at 6100 RPM. 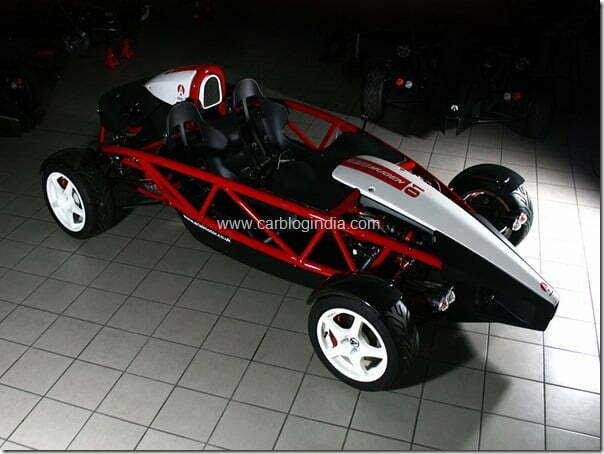 It has a 6 speed manual gearbox with hydraulic clutch. The body parts of Ariel Atom are made of non-structural composite panels and other high strength engineering materials. There are sports car like harness arrangement for driver and passenger. To keep control on a lightweight powerful sports car, the Atom is equipped with 240 mm ventilated disc braked with two-pot calipers. It features a Titon aluminum racing pedal box with twin master cylinder adjustment for brake bias. Stay tuned to us for more such interesting updates by liking our official Facebook Page and sign up for our free email newsletter.